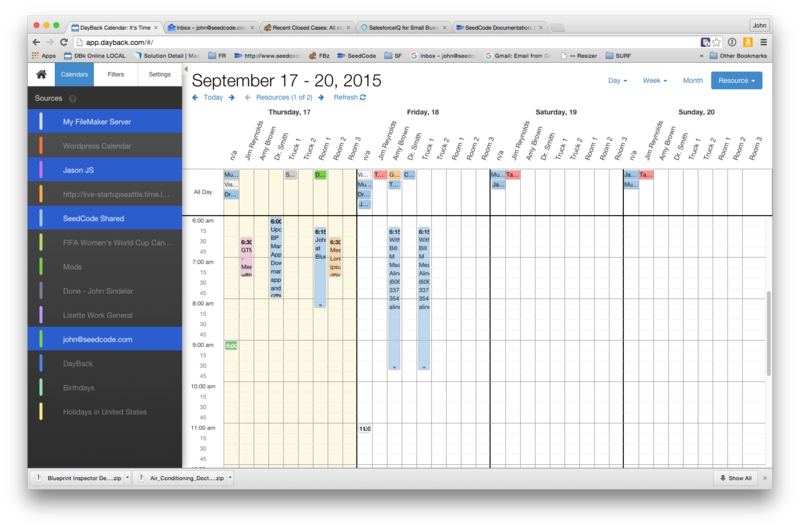 Is there a Gantt Chart in DayBack Calendar? DayBack's "Horizon" view is our version of a Gantt chart and it lets you look at an entire project at a glance, as opposed to just one-month or one-week at a time. And of course, it will respect your filters so you can see just one project (filtering for that project) or perhaps just one resource across multiple projects (filtering for that resource). We’re calling this the “horizon” view because it lets you can out past the current week or month to longer time ranges. I also like this term as opposed to “gantt chart” since this will probably be missing a few things normally found in gantt charts–at least in this first version. The current release doesn't have dependencies, for example, or horizontal “bands” in the chart for each role or phase. We’ll be adding some of that stuff in subsequent builds but we also recognize that “real” gantt chart apps are too complicated for most projects–we want something that gets at the relationships between events–and lets you see everything at a glance–without lots of junk to slow you down. You can group events on the horizon view by selecting "Breakout by" in the Settings tab in the left-hand sidebar. This creates a row for each resource or status in your filter set and lets you drag events between resources (to balance your schedule) or between statuses (to mark things done). 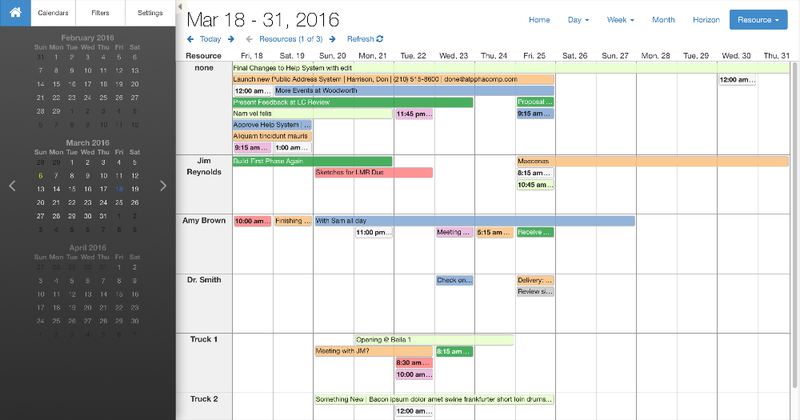 In addition to the Horizon view, there are a couple other capabilities that may help you look at your schedule across multiple days. DayBack has multi-day resources scheduling which lets people look for gaps across multiple dates (up to 14 days at a time). Both of these views are described in DayBack's Resource scheduling overview here.